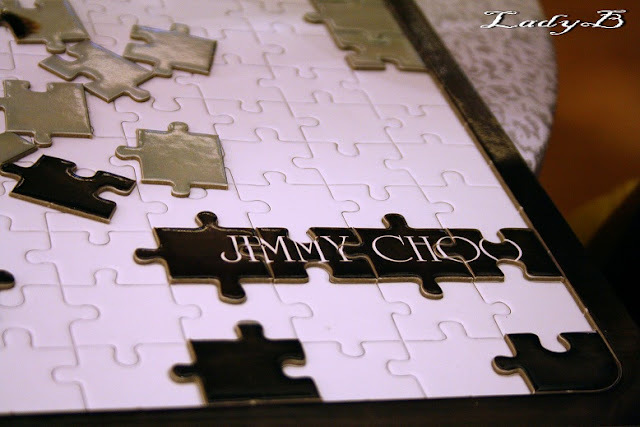 Jimmy Choo Puzzle, SOLVED ! Yesterday I was invited to solve Jimmy Choo puzzle, little I knew it was actually pretty literal ! Along with fellow bloggers we gathered at 360 mall, Jimmy Choo boutique .. Greeted by the team member, we assembled teams of two's and three members then we were asked to pick a pair of shoes according to our own liking ! 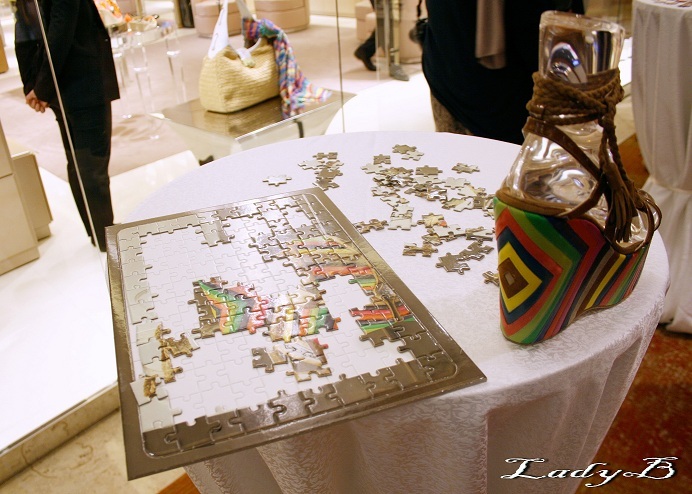 Me & Her went for those gorgeous python platform pumps, then we were escorted outside the boutique when the team members gave us each an actual puzzle to put together featuring the pair of shoes we picked within 15 minutes ! What about Q8 puzzle ! Well, our pick wasn't the best it was super hard since the colors were mostly within one shade.. But we set ourselves to work, and relying on our old days skills of assembling puzzles ! Separating the edges first and working according to this ! And guess what even though out puzzle was the hardest we WON ! Go team Her & LadyB ! Thanks alot to my friend Anfal for snapping the pictures ! 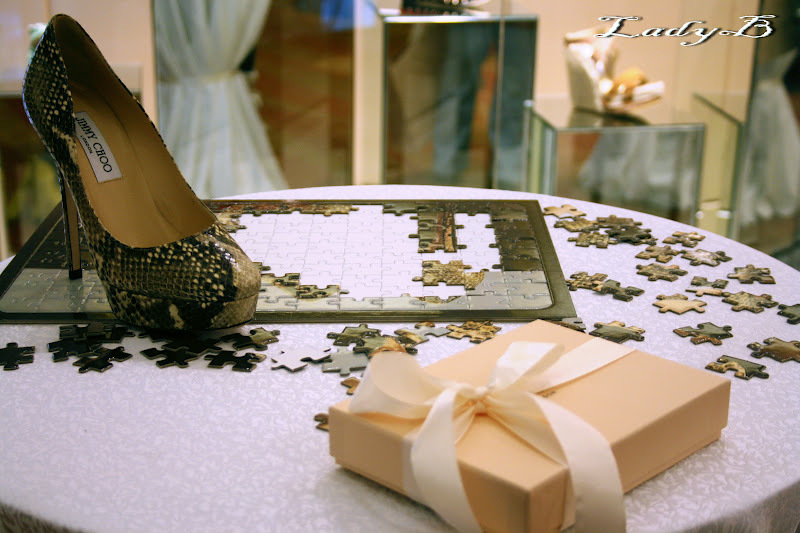 Ms. Alaa from Al-Yasra it was pleasure meeting you, and your shoes certainly took the centre of attention ! I loved Anfal's lovely outfit & ofcourse wearing one of Prink Me gorgeousness ! Thanks alot Jimmy Choo & AL-Yasra for the lovely event I had a good time and enjoyed a great laugh it was certainly creative and broke the ice between us ! Many thanks for the generous gifts & the lovely goody bag !